Shop Campaign 26 and Twelve Days of Christmas Deals Through December 13! Avon Campaign 26 2015 is effective online 12/1/2015-12/11/2015. You can order via the Shop by Product # option or Shop My Online Brochure Option on my website! Using the “Shop by Product #” option, you can even back order out of the previous two campaigns using the drop down feature to select a campaign at the far left. You can play around with the campaign numbers to see if what you wanted was on sale in a previous campaign. Happy shopping! To watch my highlights video scroll down below the brochure links. There is also a “What’s Next” Video for Campaign 1 2016 at the bottom of this post. LOOK BELOW FOR THE DEALS FOR DECEMBER 3 and 4 2015! Thanks for following me! 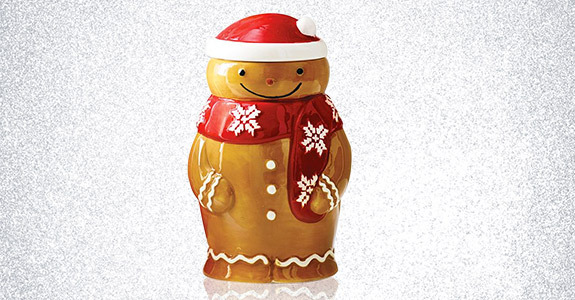 Get a FREE CERAMIC GINGERBREAD MAN filled with HOLIDAY SPICE CANDLE with notes of cinnamon, vanilla and bay with your $40 or more order PLUS FREE SHIPPING! DIRECT DELIVERY ONLY! EXPIRES MIDNIGHT 12/3/2015 EST WHILE SUPPLIES LAST! FREE THREE-PIECE SET OF NATURALS CHERRY BLOSSOM with your $40+ ORDER PLUS FREE SHIPPING! DIRECT DELIVERY ONLY! EXPIRES MIDNIGHT 12/4/2015 EST WHILE SUPPLIES LAST! Want more offers like this? Subscribe to get exclusive offers via email when you register at my website! and SHOP ONLINE NOW!